The 2200 family is built on a versatile modular platform that is the fastest and cleanest available today. 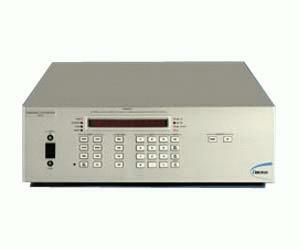 It offers one microsecond switching speed and sub-microsecond level correction, coupled with superb spectral purity. Designed to save substantial time and money over building a custom system in-house, the 2200 family is used for airborne, shipborne, electronic warfare simulation, radar upgrades and other stringent applications where the highest performance is required for rugged environments. The 2200 family is ideal for radar simulation, radar cross-section measurements, antenna pattern measurements and other high-speed microwave and RF applications.